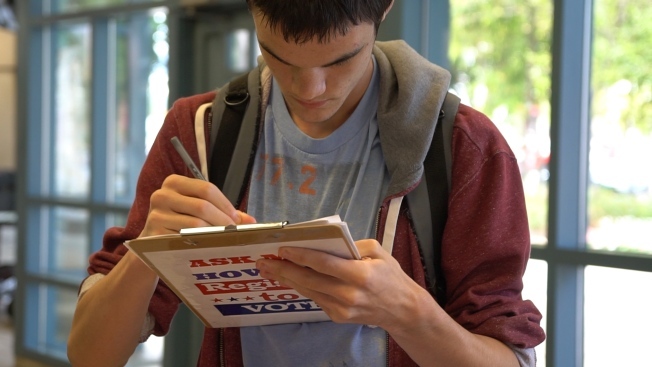 A Temple University student signs up to vote in the 2016 general election. Virginians are registering to vote at a faster rate than they have in previous years. A review of voter registration data by The Daily Press found nearly 370,000 Virginians have registered to vote so far this year, with nearly a third of those signing up in October. The registrations so far in 2016 represents about a 30 percent increase from 2012. A record 5.6 million Virginians are registered to vote ahead of Election Day.